We have attained an edge over the competitors in the arena of providing clients with legal advisory services. As a renowned legal consultancy firm in Goa, we are competent enough in offering services for property registration and property documentation Services in Goa. 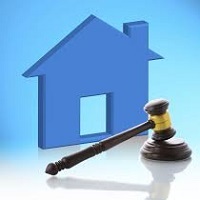 Our Property Legal Advisor in Goa is proficient in offering incomparable Property Law Services. Besides, we are also known for providing efficient property valuation services in India. Property documentation is indeed a task that requires careful handling and lot of patience; therefore it is advisable to hire a professional company for the same. Property Hub is the ultimate destination for availing property documentation services in Goa. We are widely recognized for offering legal documentation services in India. Clients looking for agricultural property documentation services can also consult us. Property Hub has carved a niche in the market, owing to its property registration services in Goa. We are renowned for offering Property Legal Registration Services in Goa. Our services have been appreciated for high level integrity and professionalism. Apart from this, we are also skilled in providing clients with agricultural property registration services in India. If you are facing any kind of troubles regarding property, Property Hub can help you in solving your disputes. Our team of professionals is competent in offering property litigation services in Goa. We understand the clientâ��s requirements and immediately react to their needs for protecting their interests. Also, we are also proficient in offering agricultural property litigation services in Goa.